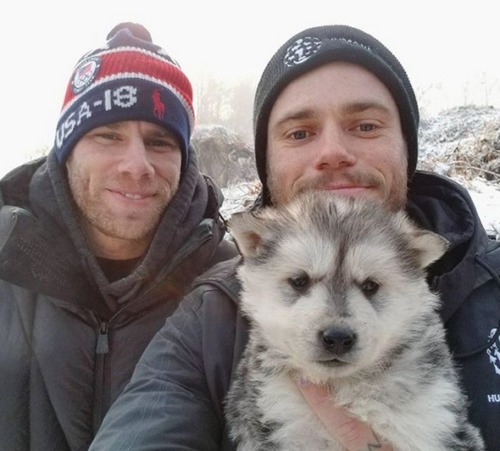 Gus Kenworthy speaks out on dog farms in Korea. That doesn’t make him a hypocrite. 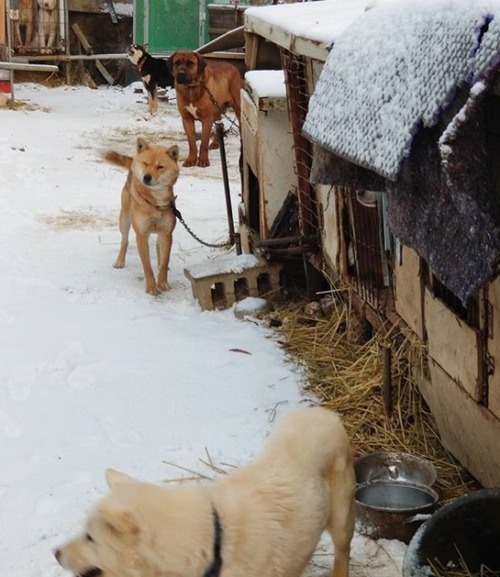 Out Olympic skier posted a few messages on Instagram denouncing dog farms in South Korea – places where dogs are raised to be eaten. First, to be clear: the dog meat industry is not very big in Korea. As his pictures show, it’s not factory farming on the scale of the pork, beef, or chicken industries. He caught flack all over the internet with people accusing him of both cultural insensitivity and hypocrisy. He’s culturally insensitive because he’s an American who spent less than a month in Korea before criticizing “Korean culture,” and he’s a hypocrite because he eats the meat of other animals. While we should be careful about criticizing other cultures, Kenworthy is on firm ground here. Korean culture isn’t monolithic: there are vegetarians and animal rights activists in Korea who want this practice to end. The Korea Association for Animal Protection has been campaigning to end the dog meat industry for years, and its efforts have targeted the country’s international image, a key to its tourism industry. There are Korean people who want international pressure here. Kenworthy doesn’t say who took him out to that dog farm, but I’m pretty sure the idea didn’t just pop into his head. He links the Human Society International, which has a branch in South Korea that’s working to end the dog meat industry. And international pressure works. 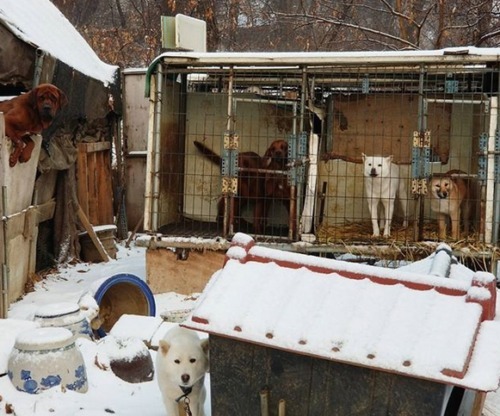 The largest dog market in the country was even shut down by the government just before the games in Pyeongchang. The idea that dog meat is an integral part of Korean culture is also undermined by how rare it is in that country. According to The Spruce, estimates of Koreans who have even tried dog meat can be as low as 5%, and only a small percentage of those people eat it regularly. A Gallup poll also found that younger Koreans are much less likely to eat dog meat, meaning that it’s already on its way out. The second charge against Kenworthy’s efforts has less to do with Korea and more to do with Kenworthy himself. He eats meat from other animals, including pigs, which are as smart and social as dogs. Some people even keep pigs as house pets. As a vegetarian myself, I can see the point here. If pigs in the U.S. could be kept in as nice of conditions as the dogs that Kenworthy saw in Korea, then we would have made great progress. That said, I’m also used to meat-eaters using the “hypocrisy” charge as a cheap attack. I rarely say anything when other people eat meat, but when I mention that I would prefer not to (even when I’m just answering their question! ), meat-eaters quickly point out that dairy cows and egg-producing hens live terrible lives, too. When it happens, it can be aggressive, as if my choice not to eat a steak hurts them personally. And I imagine that a vegan who did support exterminating all carnivorous species would also be accused of hypocrisy. There is no way for Kenworthy to win the hypocrisy argument because it’s not an argument. It’s an attack. The point of this attack is to make the attacker feel better. If that do-gooder is really a hypocrite, then I’m not that bad of a person for not caring at all, the logic goes. It’s like how Christian conservatives love to accuse LGBTQ advocates of hypocrisy. Someone who says, “You’re a hypocrite because you’re intolerant of my intolerance!” doesn’t actually care about tolerance, they just don’t like it when their hatred is called out. It’s “I know you are, but what am I” for adults. The hypocrisy charge can be used against anyone who takes a moral stance. That’s what makes it so pernicious. It’s nihilism in a prom dress. The response is understanding that people will never be perfect. There will always be something more that we can do for others. We live in a world with real constraints – limited time, limited money, limited information, limited shits to give – and doing the best we can in the context of those constraints will always better than doing nothing, even if it will also always be worse than the theoretical best that we can do. Kenworthy found room in his heart for dogs that are being raised for the slaughter. That’s good. He hasn’t found that same room for pigs who are in the same situation. That’s unfortunate. But caring about one out of those two species is better than caring about neither. We can all do better. Always. But I’m more interested in looking for ways that we can build each other up instead of ways to tear down people who are trying to do a little bit of good.